Every year we raise one batch of meat chickens for our use and for a few select customers who order birds in advance. This year is no exception. We get just hatched Label Rouge birds from a local hatchery. 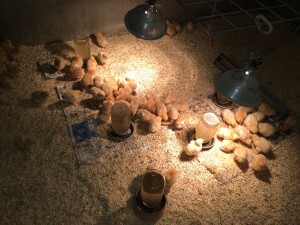 They are installed in our chicken barn and doing well.